This elite scale delivers accurate measurements for weight (up to 396 lbs/180 kg), body fat, current hydration levels, bone level, muscle mass percentages and overall body mass index readings. These are the most critical factors in determining fitness and assessing weight loss efforts. Regular monitoring of weight, hydration and other physical data can also provide added help for athletes in their training regimens. Wireless technology allows instant transmission of data from this innovative scale to your smartphone/tablet, ensuring that you can record and retain this information to help you plan your diet and exercise more effectively. Store the data directly on your iOS or Android device, or simply upload it to a secure cloud server for later evaluation. Setup is easy with the BlueAnatomy Bluetooth app. Just follow the simple instructions included in the application, and you're ready to start using this advanced technological tool for monitoring weight loss. 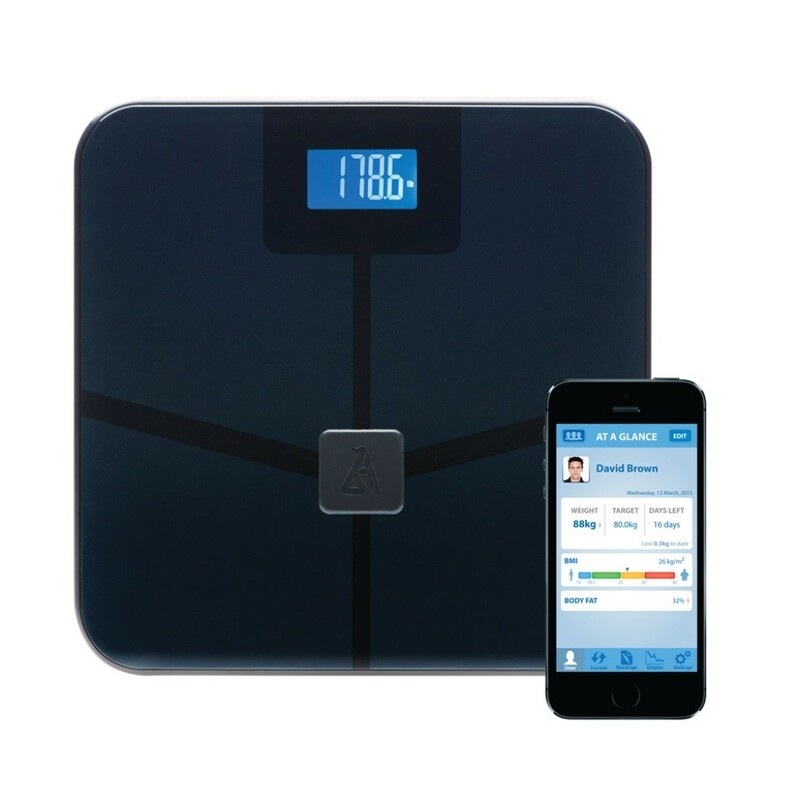 The button-free setup ensures that this Bluetooth scale offers optimal ease of use. Included fitness tools include a useful graphing feature that allows you to see your progress from week to week and month to month. Take the guesswork out of your fitness program; this elite smart scale provides you with the reporting and tracking features you need to succeed in reaching your weight loss goals. Supports iOS 4.0 or up and 3.2 or up for iPad. Compatible with iPhone 3GS & up, iPod touch 3G & up, iPad 1st Gen and up. Select Android devices also compatible, including Samsung Note 2/3, and Samsung Galaxy 2/3/4.